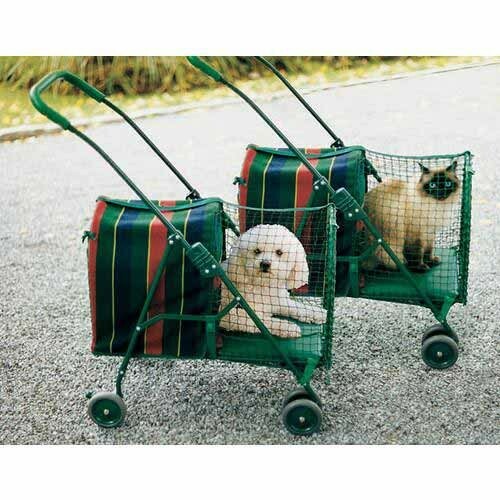 Kittywalk Original Stripe Pet Stroller Striped 26” x 14” x 35.5"
Doubles as stroller and pet carrier. 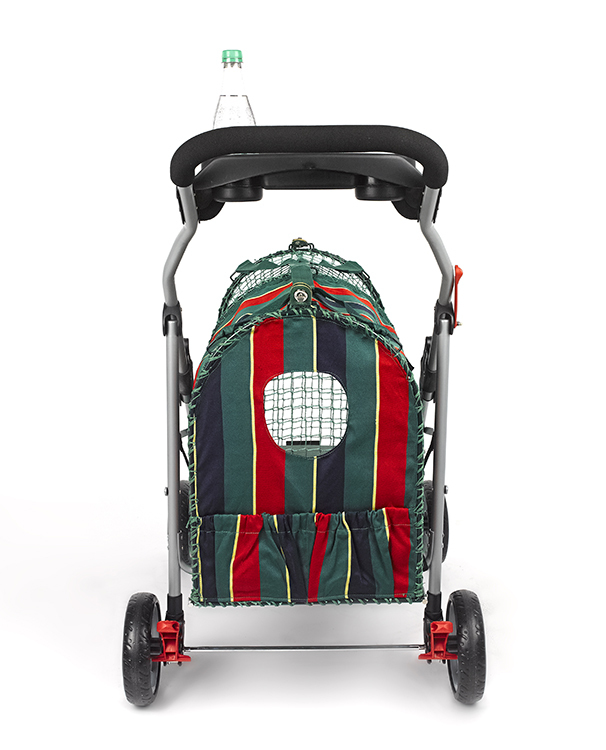 With a durable striped fabric and chrome frame and fittings, plus a cup holder, this stylish stroller will turn heads as you enjoy an outing with your cat or small dog. Independently turning front wheels and a rear safety brake make this stroller easily maneuverable. Carrier section is removable and has a front and a rear door. Includes a washable faux fur cozy pad. Dimensions: 26” x 14” x 35.5"
37" x 18" x 8"